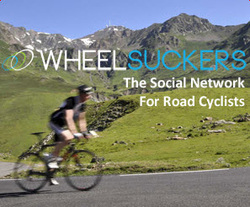 Have a site you want to share with Bicycle Crazy visitors? Carolina (Caro) Fontoura Alzaga is an artist of Los Angeles, Ca. Caro designs and creates unique chandeliers from discarded bicycle chains. Her work is very unique and creative. "The recycled bicycle parts become a representation of the dismissed, invisible, and powerless, but are also an affirmation of self-propelled movement. The bicycle chandelier thereby creates a new third meaning of reclaimed agency." Bicycle Gift Hub's mission is to offer cycling enthusiasts a wide variety of unique and quality cycling themed gifts, furnishings, and decorations. After all, why should golfers (or football, basketball, baseball...) be the only ones with sport related gifts? Flower Pedal is committed to being the premier bicycle gift company. 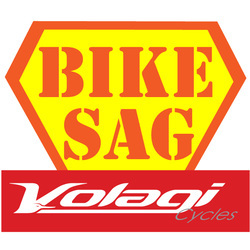 Our goal is to bring you fun and functional cycling gifts, at the best price, with nothing less than the most exceptional customer service. We respect that you have come to visit us. We hope you like what you see and that your shopping experience is truly a fun one! Bicycle Association began work 2001. Circumstances that were typical for a transition country like Croatia: Pushed mentality of consumerism market opening has awakened in our people hunger for expression of personal values ​​in a way typical of those circumstances. Dizzying number of cars has increased, and it is generated and by - phenomena: huge indebtedness of individuals, mental dependence on the car, as well as fiscal and physical infrastructure, the inability of the state to monitor such a sharp rise in personal transportation. Original observations on cycling and running for people who like to think deeper about their sports and how it relates to other aspects of their lives. Written by a competitive runner and cyclist whose 30+ years of experience provide fun and insightful perspectives. 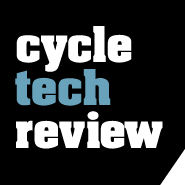 Cycling CEO is a cycling centric business community for senior executives and industry leaders. We also help companies create cycling-based active lifestyle programs for their employees, creating a healthier, more loyal workforce. 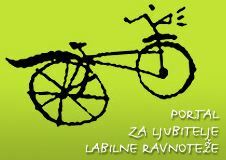 Bicyclick - You Bike, We Click! The cultural link between bikes and coffee has been a long, lovely relationship that we celebrate. No matter what kind of cyclist you are--roadie, mountain biker, weekend warrior, bike messenger, triathlete, bike commuter, weekend cruiser--we have your coffee! Sip, Clip and Go! Coffee is 100% Organic and Fair Trade. We also give 1% of our coffee profits to Bikes Belong, a non profit organization that works to put more people on bicycles across the United States. So when you drink our coffee, you are supporting several worthwhile economies and causes at once. That’s powerful stuff. We hope you enjoy our coffee. Care was taken in selecting it with the cyclist in mind. We’re happy to be along for the ride. The national TV series on Public Television that showcases travel by bicycle. 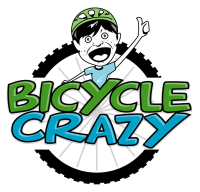 Every 30-minute episode features great travel destinations, best routes, bicycle safety and repair, and stories of how bicycling has helped to change lives. The series also tells the stories of initiatives locals take to build more bicycle-friendly and livable communities. Help us keep the wheels turning! Contribute to The Chainlink's premier campaign and claim a sweet bike prize. My name is Travis Ekenberg and I love bikes. Riding them, talking about them, brazing them, cleaning them..whatever. I love bikes. I attended the Barnett Bicycle Institute in 2007 to improve my skills and gain more bicycle mechanic knowledge. In 2010 I was fortunate to have attended the Yamaguchi frame building school. During the time in Rifle I had the opportunity of a lifetime to learn how to build bicycle frames by The Master, Koichi Yamaguchi. It was a life changing experience that opened my eyes to why I am here. Shortly afterwards I acquired the necessary tools and I have been careful crafting Thin Air frames by hand in Colorado Springs, Colorado.